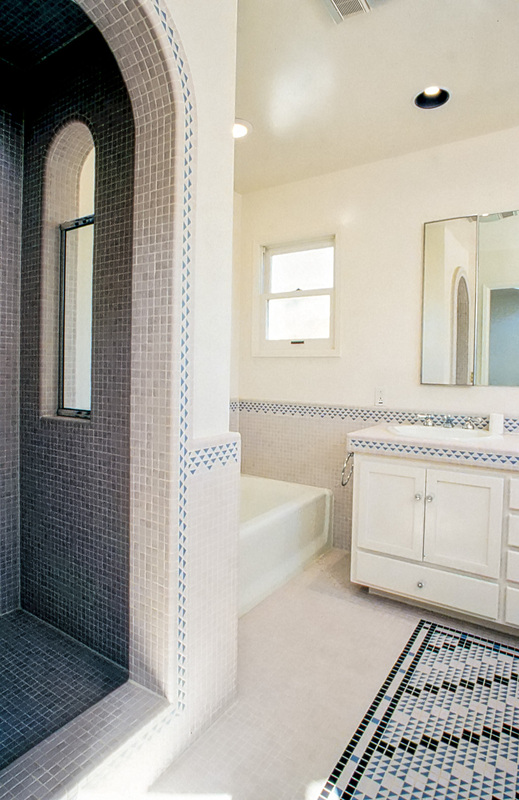 First Place in Western Region for Residential Remodeling Tile Design. 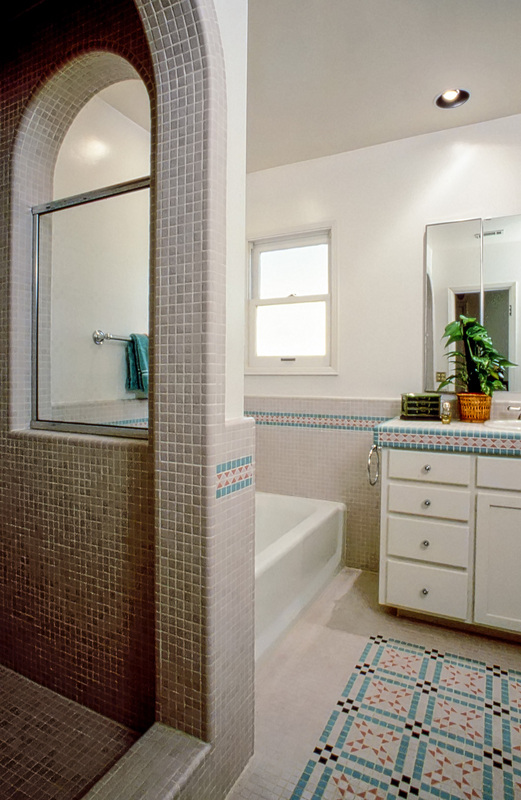 Spectrum Design winner – Best in all categories. 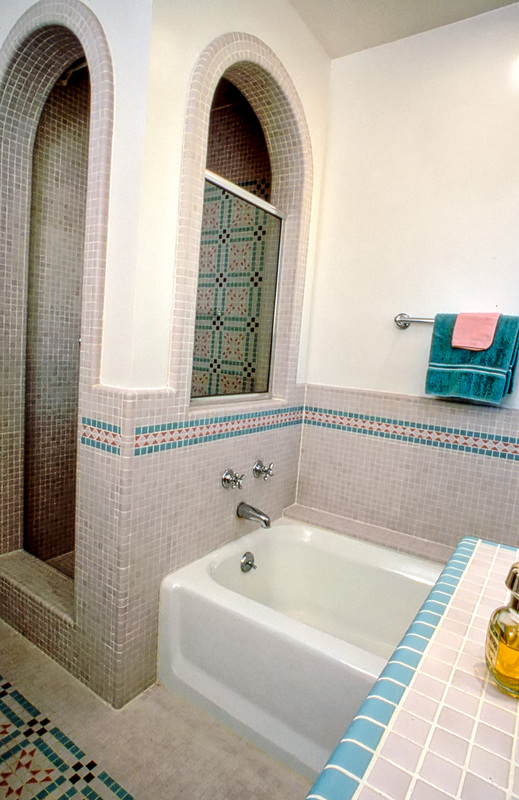 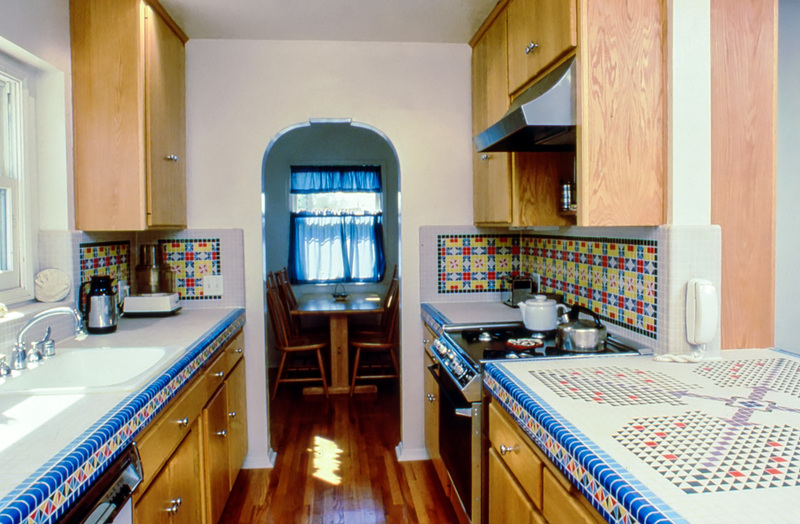 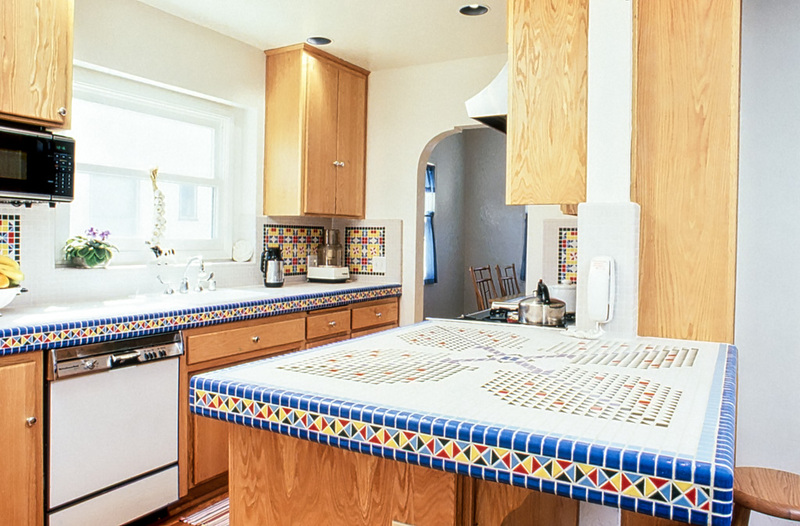 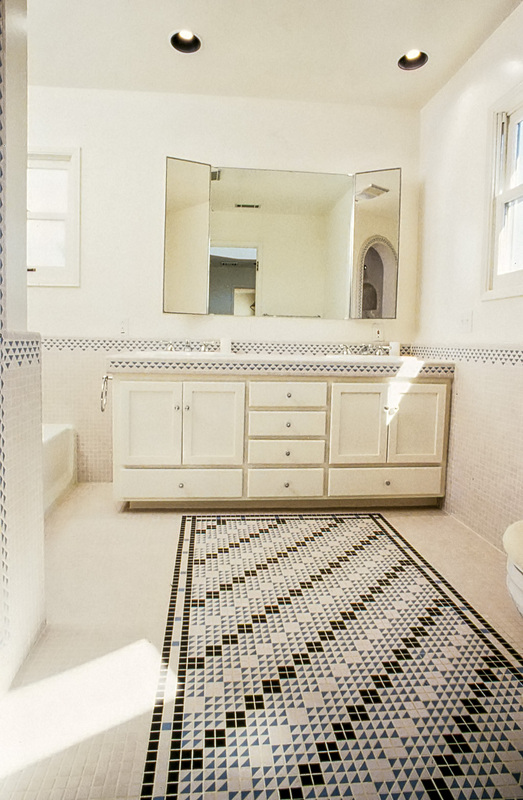 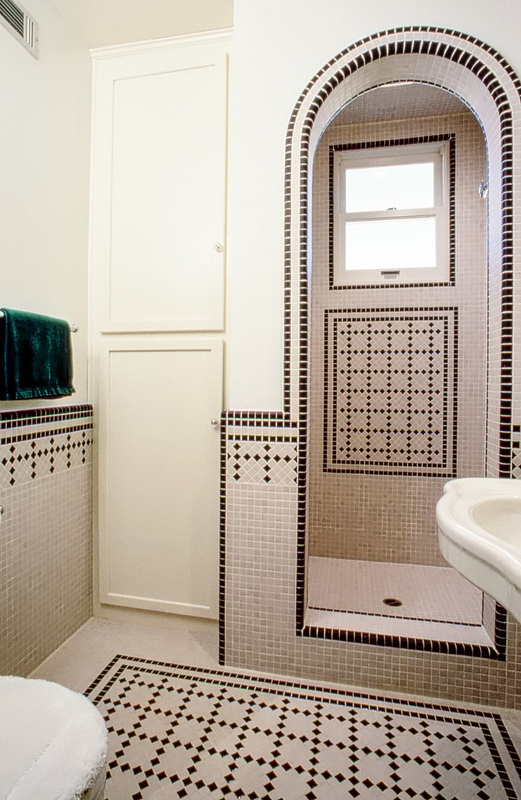 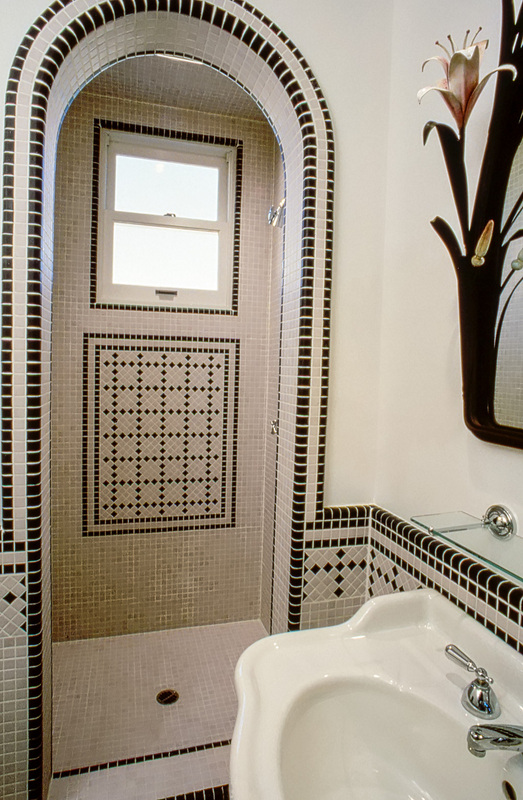 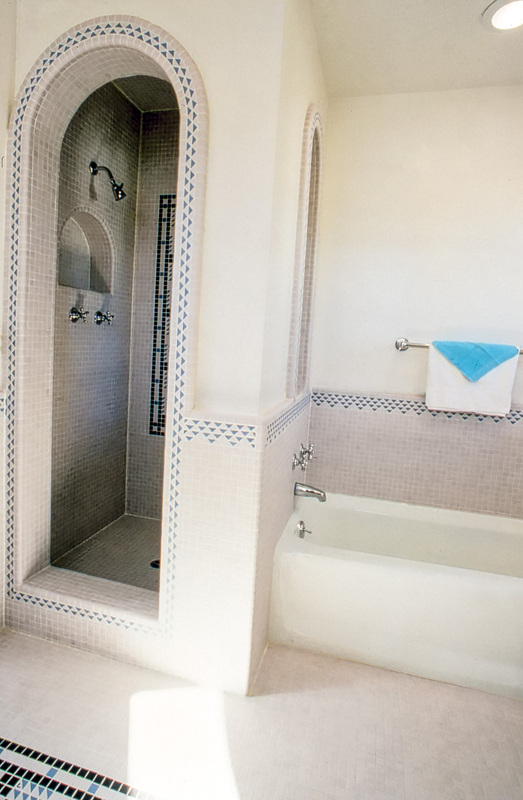 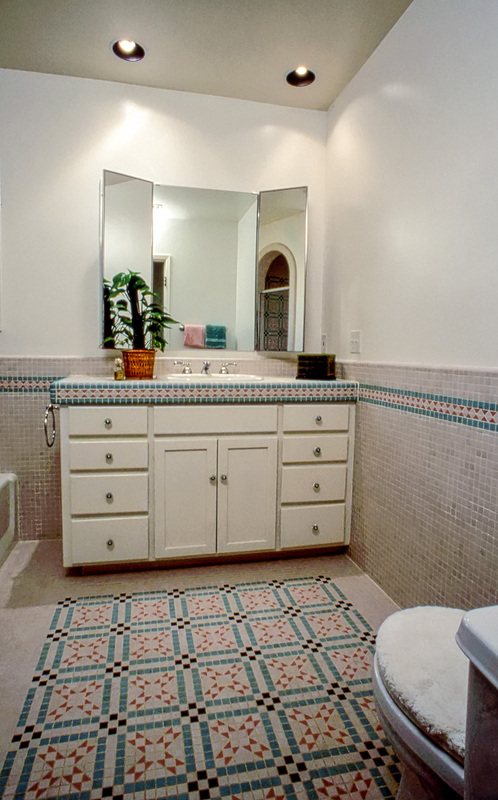 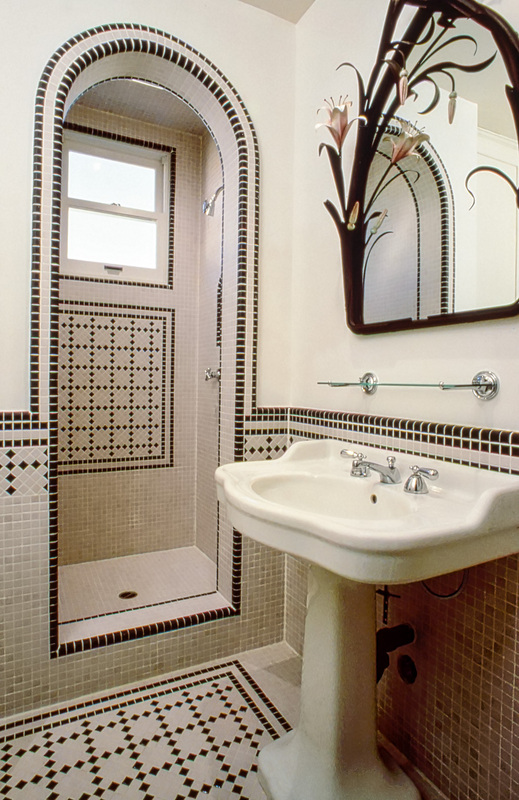 In 1987 Dan was commissioned to do the tile design for kitchen and bath remodeling in this Talmadge area home originally built in the 1940’s. 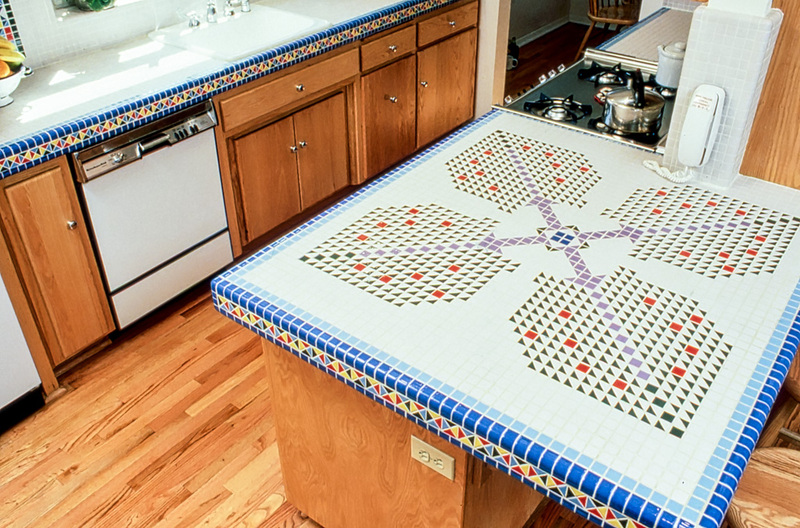 The homeowners want to maintain the historic style of the home while adding a bit of personal touch in the kitchen and bath remodeling where the homeowners love of quilting was used in the tile patterns selected.